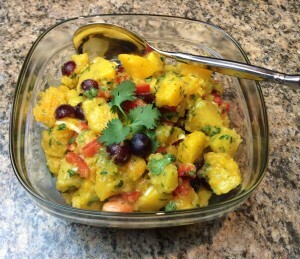 Squash salad is part of a tasty and attractive plate! Waldorf salad (apple), and boiled buttered peas. Better than potato salad, this makes an excellent weekday lunch, and is great at a picnic or potluck. Make it when fresh grapes are in season. 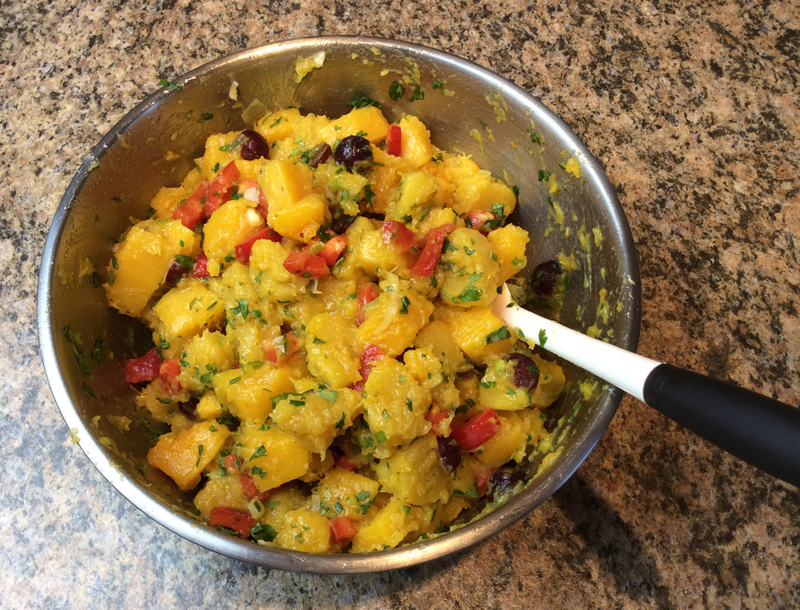 This squash salad was a favorite at my May 19, 2015 lecture about oxalates and health. I made enough for leftovers, but there weren’t any! 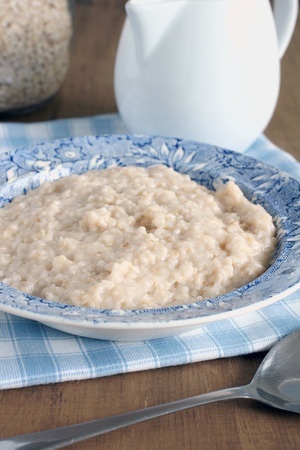 Several attendees requested the recipe, so here it is! You may either boil (5-7 minutes in salted water) or roast the squash. The squash should be soft but not mushy. 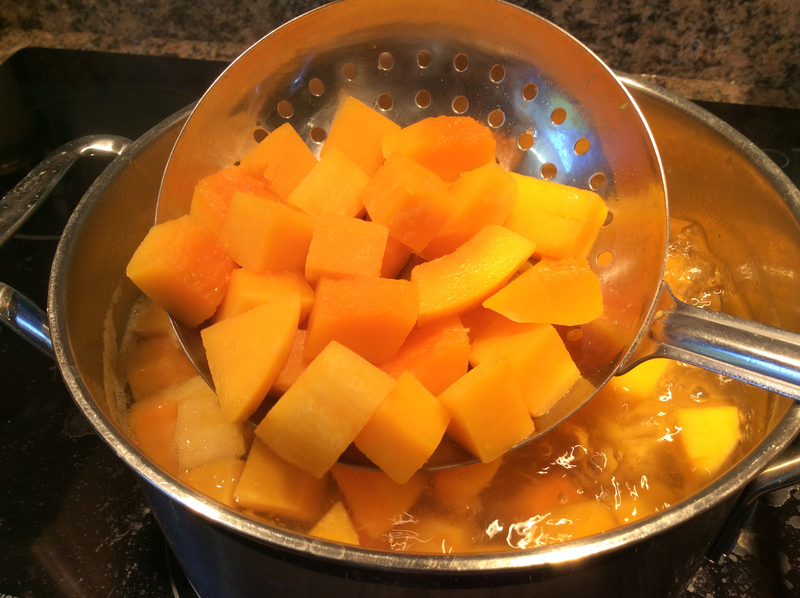 To keep the squash cubes more intact, chill the cooked squash before adding the other ingredients. 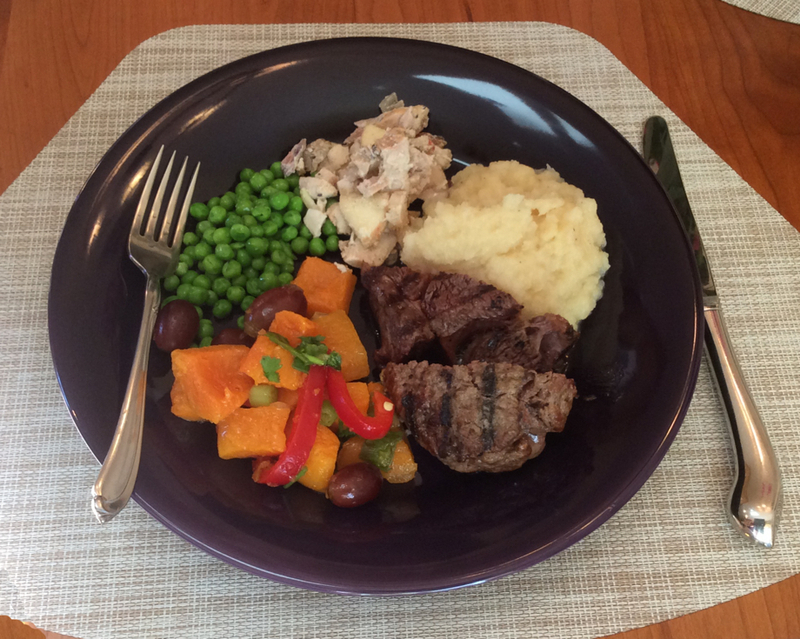 For a multi-colored look, use both acorn squash and butternut (cooked separately). Mix the dressing ingredients together, then add the dressing and remaining ingredients to the squash. Gently toss to coat evenly. Chill 1 hour. May be served chilled or at room temperature. Garnish with additional cilantro leaves or red pepper strips or grape halves. Lift finished squash from boiling water with long-handled skimmer. Final Step. Gently combine ingredients.